A high quality fiber optic installation starts with the Conectors. Clean connections give you faster transmission rates, higher bandwidth and maintenance-free operation. 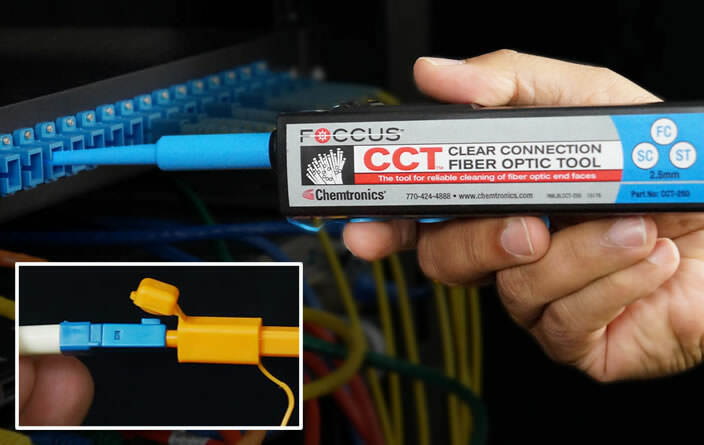 FOCCUS™ brand products from Chemtronics give you the tools you need to quickly clean Conectors and ports. Patented technology and proprietary Combination Cleaning™ process give you clean connections the first time, every time. 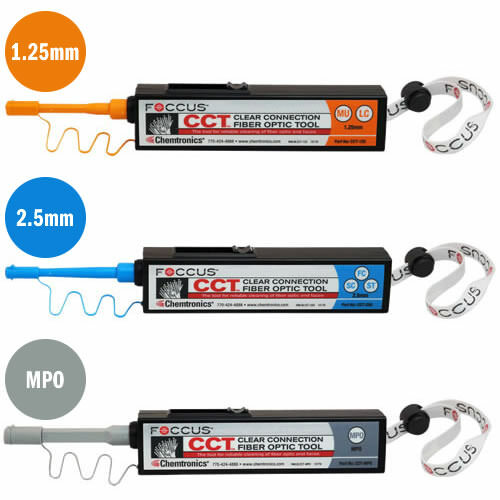 Up to 800 cleanings per kit -- 33% more than other tools! 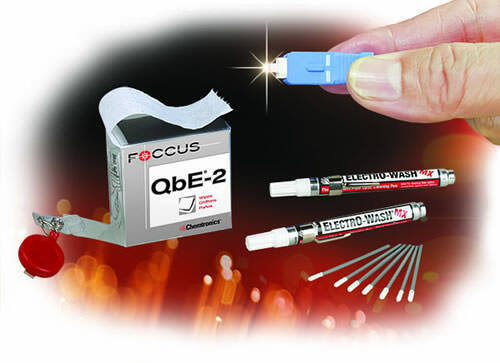 FOCCUS products are designed for optimal cleaning of Conectors using Combination Cleaning process. The end face is passed through a lightly moistened spot on the lint-free wiper, then drawn into the dry area. The large cleaning platform assures the proper angle for UPC and APC Conectors. Combination Cleaning is industry proven, exceeding IEC 61300-3-35, IEC TR62627-01, and meeting Telcordia GR-2923-CORE and SAE Aerospace AIR6031. Dry media can smear oils, not fully remove dry particulates, and can create a static field that attracts and holds onto additional debris. Wet cleaning can oversaturate Conectors, drawing up contamination from around the ferrule as shown in IEC 61300-3-35. The result is unreliable cleaning processes that work on some, but not all soils. 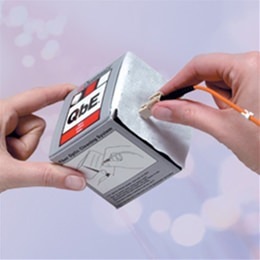 Without Combination Cleaning, additional cleaning passes, replacement jumpers or Conectors may be required. 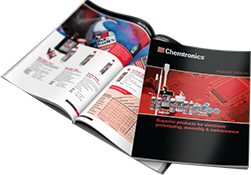 Chemtronics offers certification training for the Combination Cleaning process, teaching the right process with the right products. 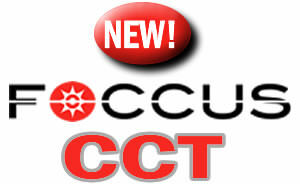 Call 1-800-646-5244 x140 to schedule your hands-on training with our technical experts!